Gaming has no language! Or rather we should say that gaming is a language in its own. With people belonging to different nations, speaking numerous languages, representing diversified cultures, and possessing various traits, one thing that brings them all together is the passion for gaming―a language in its own. In recent years, UAE’s economy has flourished remarkably. Along with tourism, gaming is contributing a great deal towards the overall economy of the country. With this significant development, Forest Interactive has recently partnered with Etisalat to launch its DCB solution, Wallet Codes, in the UAE. Wallet Codes is an e-commerce platform that enables you to charge your gaming wallets via mobile credit. Partnering with Etisalat, a tech giant in the UAE, Etisalat subscribers can now top up their preferred gaming platforms, such as STEAM and PSN through Wallet Codes. The service is also currently available in eight other countries including Malaysia, Indonesia, Taiwan, Pakistan, Thailand, Sri Lanka, the Philippines, and Myanmar. Wallet Codes eliminates the headache of providing banking details and login credentials for charging your gaming wallets. How to register for Wallet Codes? Follow these steps to get registered on Wallet Codes and enjoy endless features. Visit Wallet Codes official website. Click the Register button in the top right corner. Enter your email ID and password and hit Register. A confirmation email will be sent to your email ID. Click that link to complete the registration process. It’s done! Log in to your Wallet Codes account, start buying your favorite games, and enjoy gaming on your favorite platform. With Wallet Codes, we believe there is now another reason for gaming to strive in the UAE. Let’s go through a brief review of the gaming trends in the UAE. How gaming entered the UAE? Although gaming was not a passion of the region in the early 90’s, it boosted rapidly around 10 years back. In 2008, the first ever game expo of UAE was held at the Great Hyatt that brought together hundreds of people. Probably, that was the first time when people realized the significance of professional gaming. That was just a beginning, but it revealed the region’s passion for gaming and the potential for its growing interest. No doubt, Game8 gave birth to the gaming industry in the UAE. In 2009, the first public event was held in Dubai, attracting around 10,000 visitors, doubling that to 20,000 in 2010. In 2011, Game11 was held that gathered around 40,000 gamers under one roof for nothing but gaming. That was the time when people admitted gaming as a profession. That was just a beginning; nowadays, professional gamers are hitting the arena, and people are passionate to adopt gaming as a profession, just like engineering, medical, or law. People here are changing their perspective. Before, they thought their kids were wasting time, but it’s different if you come back and tell your family you can make $200,000 from playing games. ~ Nasheet, Bahraini founder of DvLZGaME. According to the stats shared by Statista in 2017, the revenue generated by the gaming industry in the UAE was 281.61 million USD. UAE is the 4th largest gaming economy of the Middle East. Some other stats shared by Newzoo in June this year reveal that of the total population of 10 million, 9 million people are internet users, and gaming has added 313 million USD to the total economy of the country. This makes UAE 36th largest gaming economy in the world. Gaming has grown significantly within the UAE, becoming home to the world’s most active gaming community. ~ David Wang, Country Manager, Huawei Consumer Business Group UAE. People of the UAE are fond of playing MMO (Massively Multiplayer Online) games. Fortnite Battle Royale is the most popular game in UAE that reminds you of ‘The Hunger Games.’ Each match features 100s of players fighting in the arena for survival. The individual or team that makes it till the end wins the battle. And how can one forget Counter-Strike while talking about MMO games? The UAE folks are keen on playing Counter-Strike just like the majority of gamers across the world, and it seems that their gaming zones often feature CS gaming tournaments. FIFA never gets old too. Having a PlayStation with FIFA on it―welcome to a gamer’s paradise! FIFA is the top-rated multiplayer soccer game in the UAE. Wait! What about Dota 2? Of course, it’s one of the top-played MOBA games in the UAE along with League of Legends. Call of Duty is also breaking grounds among multiplayer assault games. Mobile gaming is also taking the gaming industry like a storm. According to some stats, around 87% of the total male population and 84% of the total female population of UAE plays mobile games. Maximum mobile gamers are aged 35-44. On average, a person in UAE spends 20-40 minutes daily playing games. The most striking mobile games of UAE are PUBG Mobile, Helix Jump, Candy Crush Saga, Subway Surfers, Happy Glass, Ludo King, 8 Ball Pool, and Tomb of the Mask. Bleeding Edge is one of the leading game developers operating in the UAE. Founded in 2016 and headquartered in Dubai, Bleeding Edge is developing some of the top-notch iOS and Android games. To date bleeding Edge has developed more than 50 2D and 3D games. After a successful launch in the UAE, the company has also stepped into Pakistan and formed its production office. Most popular games developed by the gaming studio include Impossible Stunt Car Simulator, Offroad Truck Oil Transporter, Demolition Derby Bus Racing 3D, and Anaconda Attack Simulator 3D. Ubisoft opened its UAE office in October 2011 at Abu Dhabi. The team comprised of Ubisoft members from different parts of the world. Ubisoft is well-known for its numerous mind-blowing games, Assasin’s Creed being the topmost. The first game released by Ubisoft Abu Dhabi in 2014 was CSI: Hidden Crimes. This game provided an astonishing mobile gaming experience and was one of the pioneer games to give birth to professional mobile gaming. The second version of this games, NCIS: Hidden Crimes, rolled out in 2016 and is still breaking the gaming grounds. Lumba is a game development company based in San Francisco and Dubai. This company is setting new trends in the Middle East gaming industry. 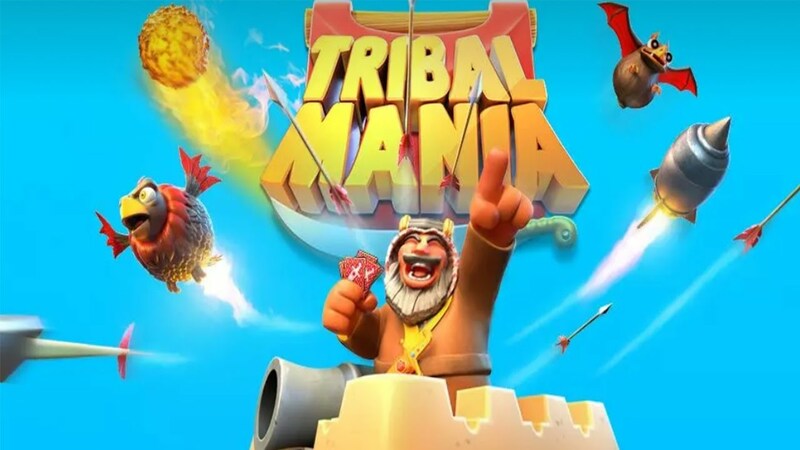 Until now, four games have been released by the company, including Desert Tycoon, Bedouin Rivals, Temsa7 Army, and Tribal Mania. Two of their games, Bedouin Rivals and Temsa7 Army, were declared the Best Apps of 2014 and 2015 by App Store. The fast adaptation of digital content in the region, as well as the localization of games in Arabic is contributing to the fast growth in the region.